Had this wine for dinner a couple of nights after the Woody Nook, and because it’s in the same neighbourhood I thought I’d bang up a couple of notes as a comparison exercise. A punch of gooseberry opens the account with some typical Margaret River minerality, a bit of smoky bacon, and a poke in the eye with a lemongrass stalk. There’s a touch of green pea too but it’s blown away by some lemon sherbet and a jube-like aroma. Yellow jubes to be precise. I even detected a spot of spearmint which caught me off-guard, but hey, I like spearmint. The palate is all citrussy zest, lemon and lime – crisp, nutty – a few green tropical fruits, lychee, gooseberry and some raw pineapple. There’s a bit of green tea too but the fruitier flavours fill every crevice of the palate and coat the tongue in lovely creamy textures. Looks like a bit of oak influence to give some complexity but not so you’d notice it. Good weight/length. What more could you want? Yep, I liked it and gave it a more confident thumbs-up than the Woody Nook. Tasted cleaner and fresher and the texture won me over. Value: $22 at the bottlo. Justified. 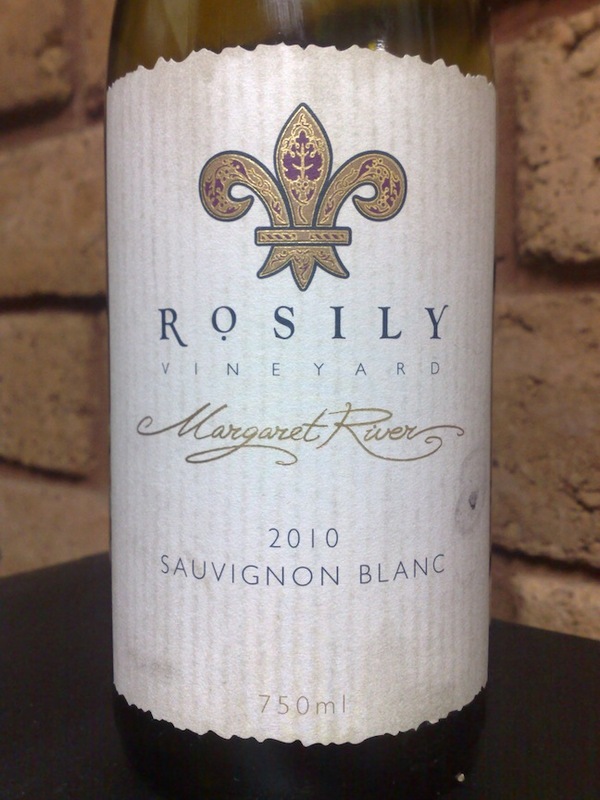 Producer: Rosily Vineyard – www.rosily.com.au – A relative newcomer with vines established in 1994 by the Allan family. Mike Lemmes is the winemaker. Site: Soil specs run from gravelly loam to coarse gravel to light sandy soils over a clay base.